Marvel just released the first issue of its new series: Star Wars – Age of Republic. Age of Republic is the first mini-series of one-shots that serves ups stories during individual eras, as part of a maxi-series of new Star Wars comics. Each era will consist of a series of one-shots featuring both heroes and villains. Age of Republic – Qui-Gon Jinn (2018) #1 is centered around Qui-Gon Jinn, and takes place prior to The Phantom Menace. 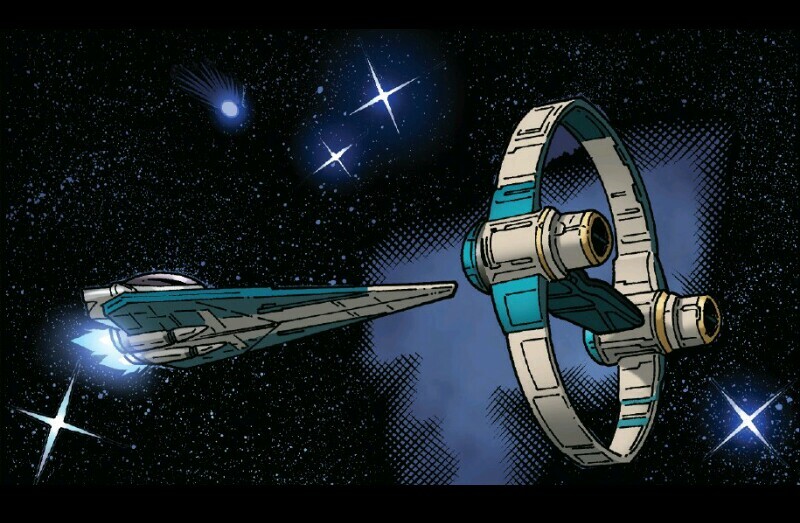 Written by Jody Houser (Rogue One and Thrawn comic adaptations), with art by Cory Smith, the story follows Qui-Gon Jinn as he faces his conflicting beliefs about the role of the Jedi. Houser weaves a compelling story true to Jinn’s character as a rule-bender who searches for balance within the Force. The art is some of the most beautiful I’ve ever seen portray the Star Wars universe, with a color palette that really pops and scenes packed with action. Overall, this issue is a good story. It does feel a bit short; it’s impossible to get enough of Qui-Gon Jinn, so I appreciate Marvel for bringing us another piece of this compelling and conflicted character. At the very least, it’s something to tide us over until the release of Claudia Gray’s Master and Apprentice novel next year. Hit up your local comic shop or grab a digital copy online today. Star Wars: Age of Republic continues next week with Darth Maul. It has been a few years since I binged on the 2004 Battlestar Galactica television series. I remember being so thrilled when I discovered it on Netflix. I was familiar with the title, but never gave it a chance during its television run (a mistake I also made with Buffy the Vampire Slayer, and Firefly). I was hooked from the first episode and proceeded to watch the entire 4-season run over the course of a few weeks. It quickly became one of my favorite television series. I couldn’t believe that it had eluded my interest for so long. Six years later, I’m experiencing a newfound interest in comic books. Browsing Black Friday Sales on Comixology, I came across a significantly discounted price on the 2007 Battlestar Galactica comic series. Issue #0 was free, so I had nothing to lose by giving it a go. I was immediately transported to that some place of fascination of half a decade ago. The story was immersive, the art was beautiful, and the characters (nearly all of our favorites have an important role) were spot-on. I immediately purchased all three volumes in the series. Writer Greg Pak (X-Treme X-men, Hulk, the new Firefly comic!, etc.) weaves an engaging story that’s true to the franchise, aided with the stunning art of Nigel Raynor and Jonathan Lau. Chronologically, the series takes place in the middle of second season of the television series. Battlestar Galactica and the rest of the fleet have returned from Kobol. Now they’re facing the ghosts of their past, being forced to unravel the mystery of the ‘Returners’, terrorist plots, a plague, and even more cylons than you might expect. Oh, and a healthy dose a viper dogfight action. Thank the gods! I won’t spoil the story for you but I’ll say, just as the television series did, this story gets more bizarre the longer it goes on. Battlestar Galactica fans won’t want to miss this story, especially if, like me, you’ve missed these characters. Go check it out; you won’t regret it. So say we all.